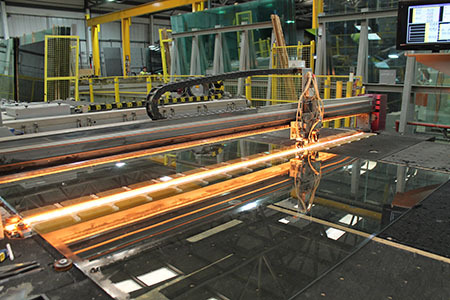 N&C Glass Fareham is a dedicated insulating glass (IGU) manufacturer, producing a large range of IGU’s under the Eco-lite™ brand. These include domestic sealed units and commercial units, including triple glazed, stepped units and commercial units with backing panels. Options include a range of glass types, Warm Edge spacers, leaded units and Georgian bar designs. We also manufacture fire rated units to Attestation Level 1 and Specialist Ultra Thin Units for the Heritage and Timber Window industry. Recent investments have included new machinery to increase our IG manufacturing capacity. Previously there was a bottleneck in the cutting and processing side of the factory, which fed the sealed unit assembly side. The decision was taken to re-equip this side of the factory with a new cutting table, racking system, automatic arrisser and tempering furnace. 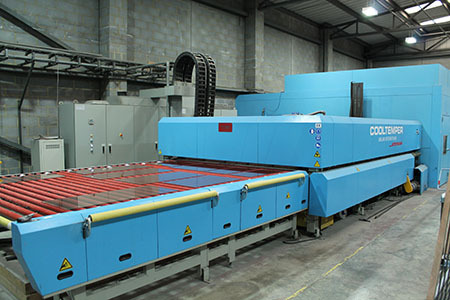 When the machines were delivered, they were quickly installed with minimal disruption. The Cooltemper furnace is a Jetstream Plus with a 2400x 3600 bed size. The Cooltemper Furnace is one the Company’s latest designs, tested on all currently available soft coat glasses. 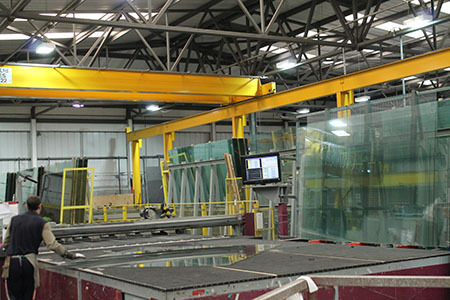 It is used to produce safety glass as the process toughens the glass making it shatter proof. Automation and a reduction in manual handling is perhaps the biggest development of the new set-up. In our factory layout, the cutting table feeds the automatic vertical arrisser on rollers. This takes out many handling processes in the sequence of cutting and stacking prior to toughening. Our ongoing investment means that we can now achieve greater capacity and flexibility to produce commercial size units, which are significantly larger than domestic units, and often with thicker glasses (6mm and up, against 4mm for domestic) and a higher overall specification. The current investment is part of the ongoing and significant capital investment at our IGU manufacturing plant at Fareham in Hampshire. 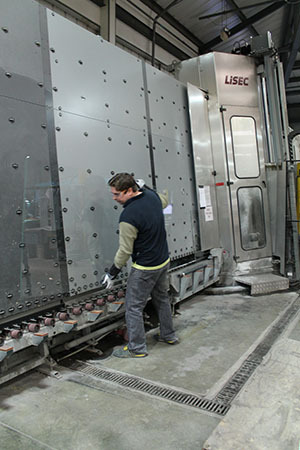 The new cutting and toughening facilities improve further the supply of glass to our 4 dedicated Sealed Unit lines including our Lisec Automated robot Lines.